I haven’t heard of art therapy before, is it a new type of therapy? Art therapy evolved in the 1950’s and 1960’s when a number of psychiatrists brought artists into mental health hospitals to work with patients; the individuals who pioneered that work went on to develop art therapy. 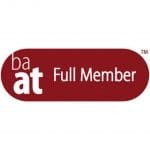 The British Association of Art Therapists was formed in 1964. In 1972 the first post graduate training programme commenced and the profession has been developing ever since. What sort of person goes to art therapy? All sorts of people from all sorts of backgrounds have attended art therapy and have found it beneficial. A person who is struggling with difficult feelings, thoughts and behaviours and wants to resolve some of the difficulties they are experiencing could benefit from art therapy. No problem is too big or too small, Karen Sawyer is able to work with children, young people, adults, parents, families and groups. Do I have to be good at art? No! Children, young people or adults who are referred to an art therapist do not need to have creative skill or flare. The art therapist is not primarily concerned with making an aesthetic or diagnostic assessment of the art work. The process of making art within the three-way relationship of client, image and art therapist is paramount. How will I know if Karen Sawyer is the right therapist for me? Choosing an art therapist is a very individual decision. It takes time and consideration. You need to feel that the therapist is someone that you can connect with and that you can feel comfortable being with. I welcome the opportunity to initially speak with you on the telephone without obligation. If following our brief telephone discussion you would like to meet, we can arrange an initial consultation to discuss further treatment options. Can I be present during Karen Sawyer’s individual sessions with my child/partner/friend? In order to provide a safe therapeutic environment the individual sessions are confidential, unless your child wants something specific shared with you. In that case we would discuss this at a review meeting with parents. If you would prefer to think about having joint sessions with your partner or a friend we could discuss this when we meet. How long should I expect to attend art therapy sessions for? At an initial consultation meeting we would explore in detail the difficulties you or your child is having, then we can decide the best way forward. Treatments are tailored to your individual needs. Some people require brief support over a few weeks while others may benefit from longer term treatment over months. We would think together about your overall progress and decide together when it is the right time to cease art therapy. What happens to the images that I make during art therapy sessions? All of the images made during sessions are safely stored in a confidential manner by Karen Sawyer. When the sessions draw to a close, having agreed a planned ending. You will have an opportunity to review your images and make choices about what you would like to do with them. Some people want to take their images with them or leave them with the art therapist, or have a ritual around the images. Every person’s decision is unique. Does my GP or employer need to know that I am attending art therapy sessions? 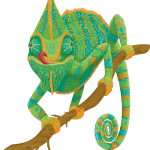 Karen Sawyer will not share information about your attendance with your employer unless you specifically request this and you give your consent to share information. Karen will ask for details of your GP and for your consent to share brief details of your attendance; however, the details of the sessions remain confidential. How confidential are art therapy sessions? All information shared will be treated respectfully and in a confidential manner. Although if any information is disclosed which may be harmful to a child vulnerable person, I have a duty to share these concerns with other relevant professionals. How are Art Therapists regulated? Art therapists have a post graduate, MA or MSC qualification in Art Therapy. They are expected to have a first degree in order to undertake post graduate training. Art Therapy is a profession regulated by the Health and Care Professions Council (HCPC). 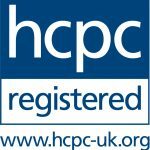 Registration with HCPC is required by law in order to be able to practice as an Art Therapist or Art Psychotherapist in the UK. Any person working with children and young people is required to have enhanced DBS* clearance. For further information on Art Therapy, training and standards of practice visit the website of the British Association of Art Therapists. *The Criminal Records Bureau (CRB) and the Independent Safeguarding Authority (ISA) have merged into the Disclosure and Barring Service (DBS). CRB checks are now called DBS checks.